celebrate a major advance in animal welfare, and, therefore, for Europe, a step towards becoming a more civilized and humane society. On Tuesday came what might be the biggest victory yet: McDonald’s announced that it will stop using eggs from caged hens in the U.S. and Canada. is the “biggest victory yet”? And Singer tells us that it took forty years to get to this “victory.” Actually, it’s going to take fifty, Peter. You forgot to add the additional ten years of the phase-in. I think it is that. I don’t deny that. Obviously they’re killing animals and packaging their bodies. There might be some people who say, ‘You can’t be compassionate if you end up killing the animals.’ I just think that’s wrong. . . . I think as long as the standards really are compassionate ones, that do as much as they can to give the animals decent lives before they’re killed, I don’t have a problem with it. Sorry, folks, but anyone who claims fatherhood of the “animal rights movement” and says such a thing needs to have a DNA test because there’s a very doubtful paternity claim being advanced. Ever since 2005, it’s been a constant race to the bottom as all of the large groups relentlessly promote the speciesist idea that animal use is just fine as long as treatment is “compassionate.” And, in this chilling recording from 2006, Mackey discusses how groups like HSUS, PETA, Viva!USA, and Farm Sanctuary served as “stakeholders” and participated in discussions–species by species–to decide what standards of happy exploitation Whole Foods should adopt for the program referred to in Singer’s letter. We find that absolutely breathtaking. there’s a little bit of room for indulgence in all of our lives. I know some people who are vegan in their homes but if they’re going out to a fancy restaurant, they allow themselves the luxury of not being vegan that evening. I don’t see anything really wrong with that. . . .
I’ve been a vegetarian since 1971. I’ve gradually become increasingly vegan. I am largely vegan but I’m a flexible vegan. I don’t go to the supermarket and buy non-vegan stuff for myself. But when I’m traveling or going to other people’s places I will be quite happy to eat vegetarian rather than vegan. So Singer has no problem with eating eggs and other animal products. And in another ten years, he will be able to stop in at McDonald’s and enjoy one of their “cage-free” egg products with “victory” in every delicious bite. But surely, even he must see that what McDonald’s is doing has nothing to do with animal ethics. It has to do with corporate profitability. 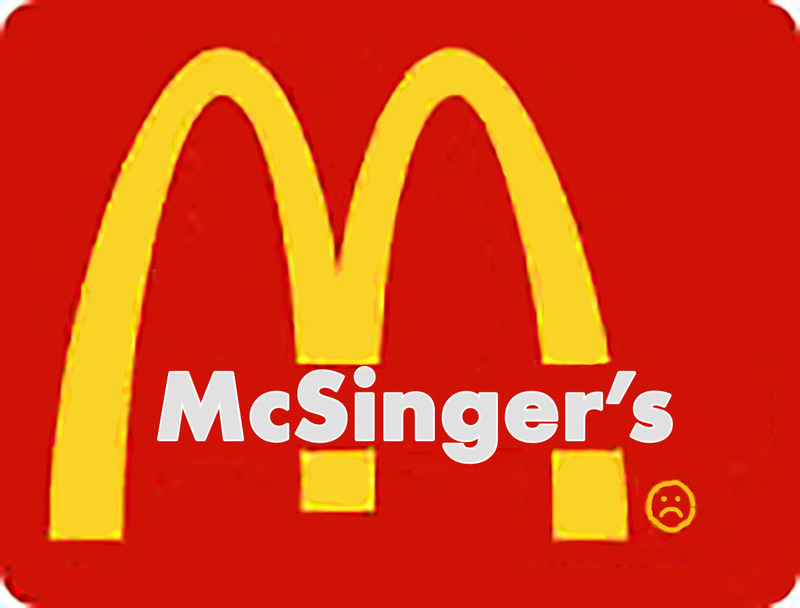 McDonald’s is experiencing falling market share. Customers are demanding that McDonald’s serve breakfast foods all day long. And analysts see the “cage-free” announcement as allowing McDonald’s to do an all-day breakfast menu for which it can charge higher prices because of the “better” eggs that McDonald’s will phase in over the next decade. From a business point of view, the move by McDonald’s is brilliant. 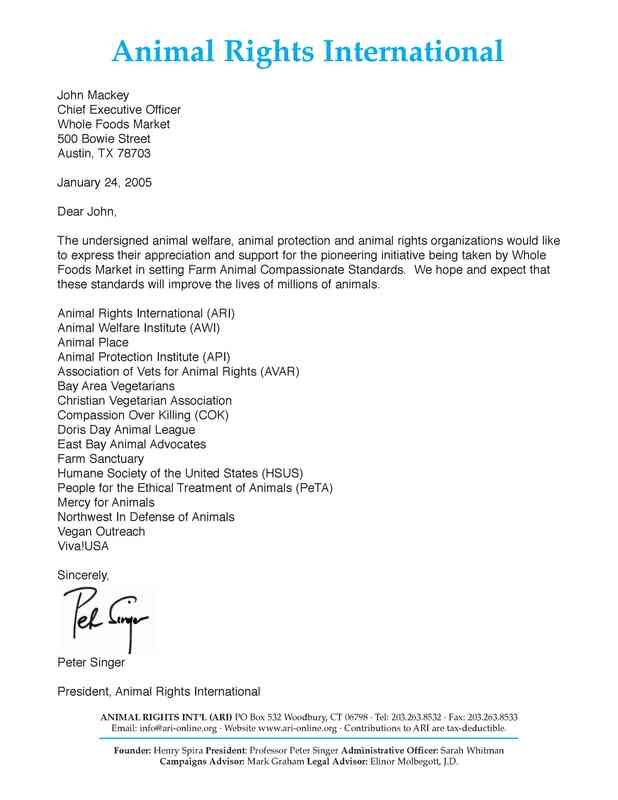 They not only get to increase profits, but they get the “animal movement”–from Father Singer to reactionary welfarist groups such as the Humane Society of the United States and Mercy for Animals–to provide free advertising and tons and tons of praise. Indeed, these so-called “animal advocates” are declaring this to be a “watershed moment.” McDonald’s actually has these “animal advocates” reassuring the public that it’s just fine for people to continue to consume animals. It’s also great for the animal groups, who are, as we write, undoubtedly raising tons of cash as they join Singer in declaring “victory” and as they all claim credit. 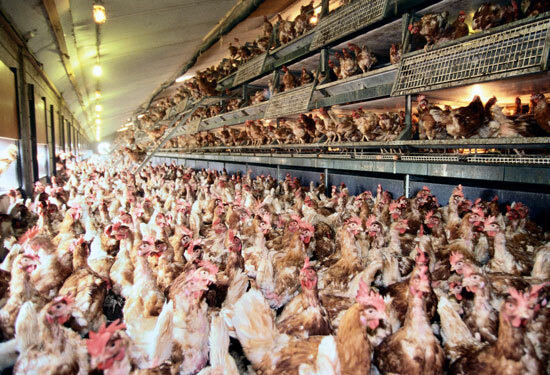 What about the birds who will still be confined in massive sheds with no room to move? What about the birds, who will still be debeaked and tortured in other ways, from their birth to their deaths in the hideous abattoirs that slaughter chickens? What about the male chicks, who will still be killed at birth in the hatcheries? All of this will continue, but with the “animal movement” providing its stamp of approval. Unfortunately, the birds are just tools to both the institutional exploiters, such as McDonald’s, and to the “animal advocates,” who are in every way partners with those institutional exploiters. Fifty years to get from a situation of torture to a situation of continued torture with the primary difference being that “animal advocates” are now praising that torture. So what’s next? 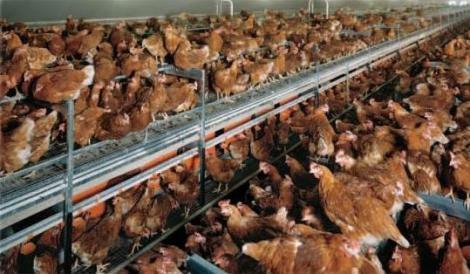 Another forty or fifty years to get a bit more space in the “cage-free” barn? And then what? Another few decades of campaigning to get the hens a bit of outdoor space? It goes on and on and on and on. It never ends. Just imagine all the opportunities for fundraising. That’s the beauty of welfarist reform campaigns. They make for literally unlimited campaigning opportunities. And every insignificant change results in “animal advocates” declaring “victory”–and asking you for more money. The “anything is a victory” approach is a great model for the thousands of “animal advocates” who make a living off the suffering of animals as they peddle happy exploitation. It’s great for Singer, who can pretend that he’s doing something other than putting a purported intellectual gloss on this insidious betrayal of animals. It’s great for the public, which is told by “animal advocates” that they can still care about animals and be “compassionate” as they shovel the products of suffering, death, and injustice into their mouths. And it’s certainly great for McDonald’s. It’s a true win-win-win-win. Only the animals lose. At the level of the large groups and their Father, it’s a McAnimal Movement now.